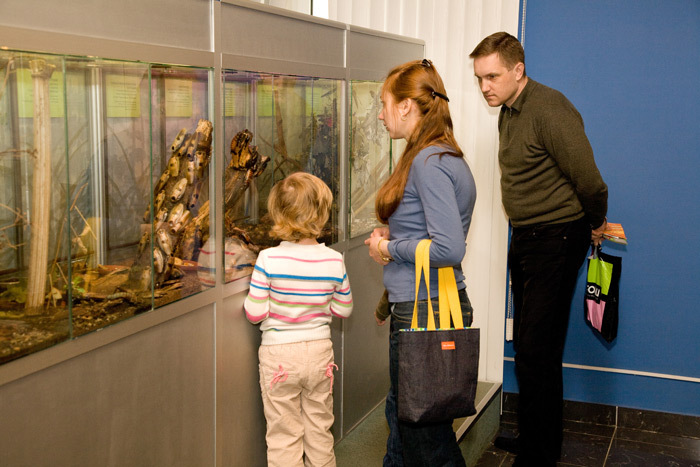 Here you will see various live invertebrates including insects which belong to 5 different orders living on 5 continents, tropical Scorpions and a tarantula. 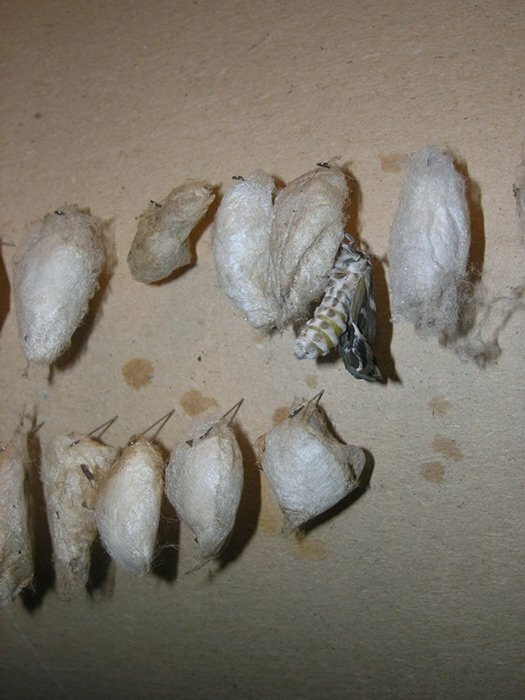 Beautiful butterflies continuously leave their cocoons in a special tiny greenhouse. A carnivorous plant helps to reduce the number of small flies. 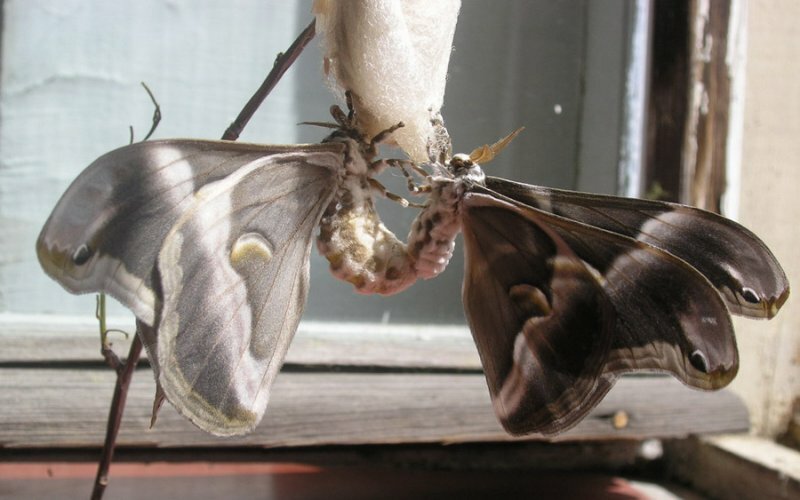 There you can also notice a moth Samia Cynthia (&apos;Ailanthus silkmoth&apos;). 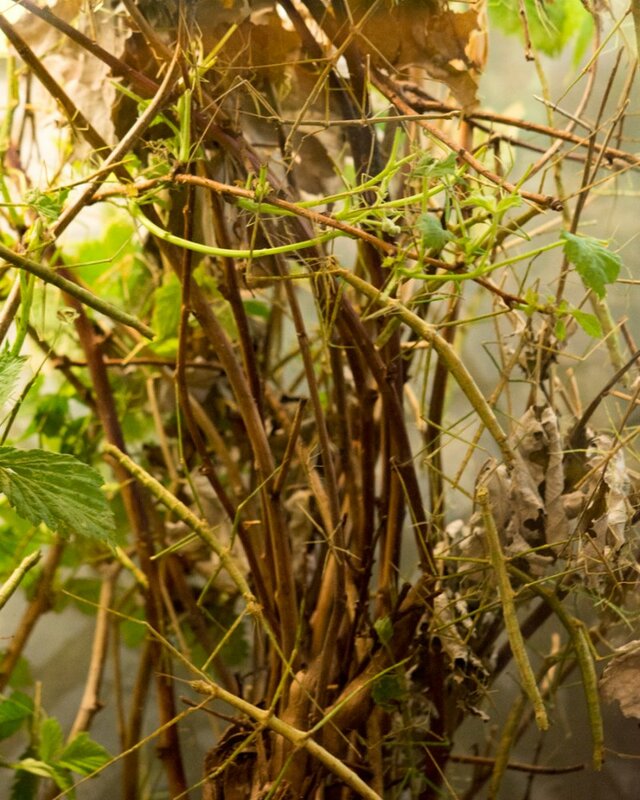 Most butterflies usually successfully reproduce and lay eggs in our greenhouse. 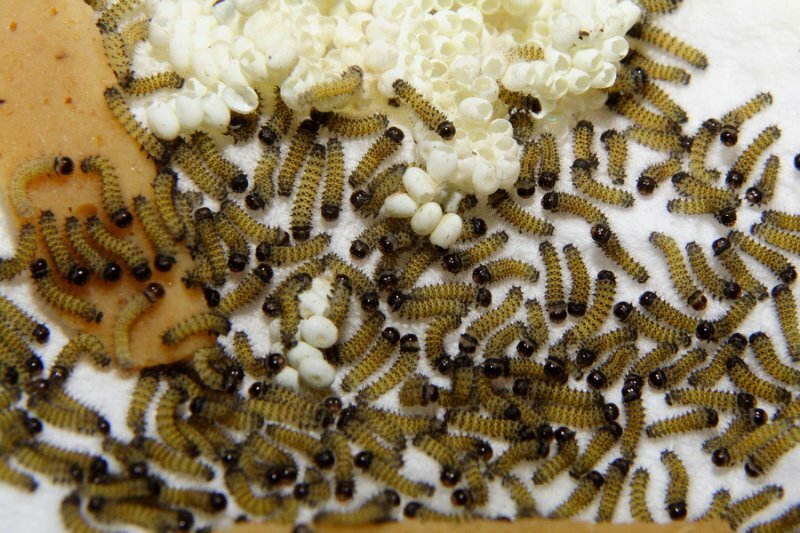 In 7-10 days caterpillars hatch their eggs. 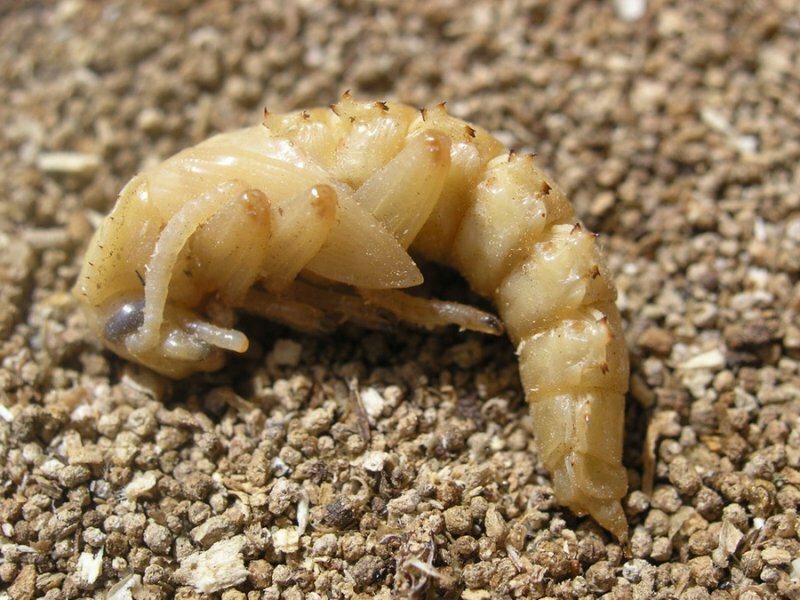 Newborn caterpillars are very small, only about 3 mm long. They reach a much larger size in about 3-4 weeks time. 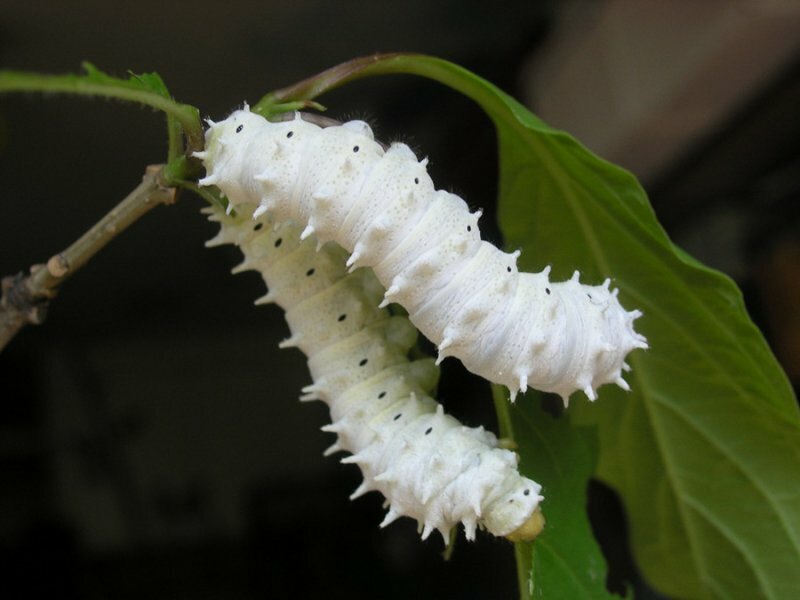 These caterpillars produce silky cocoons, so they are often called silkworms. 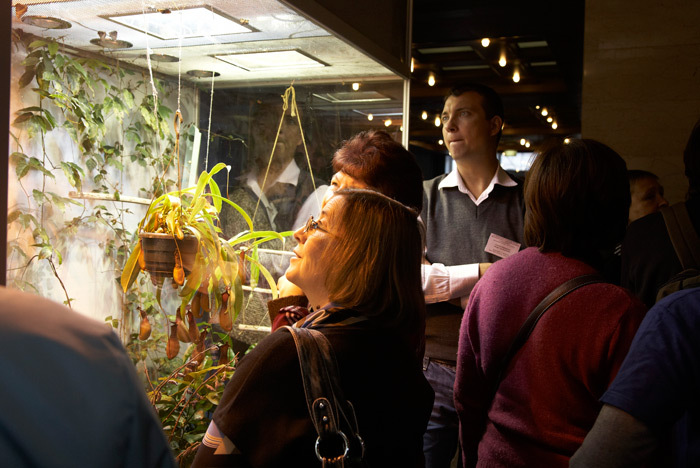 A greenhouse full of amazing butterflies always attracts much interest. 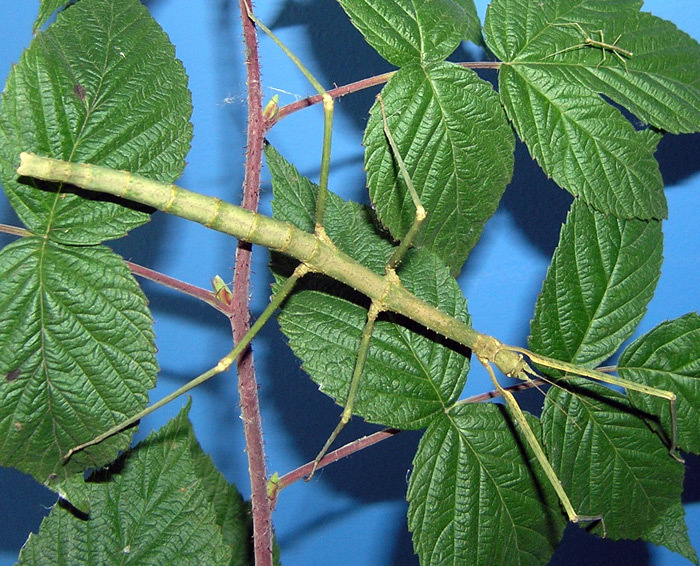 It’s not always easy to find a stick insect in a terrarium despite its impressive size which is around 10 cm for an imago. 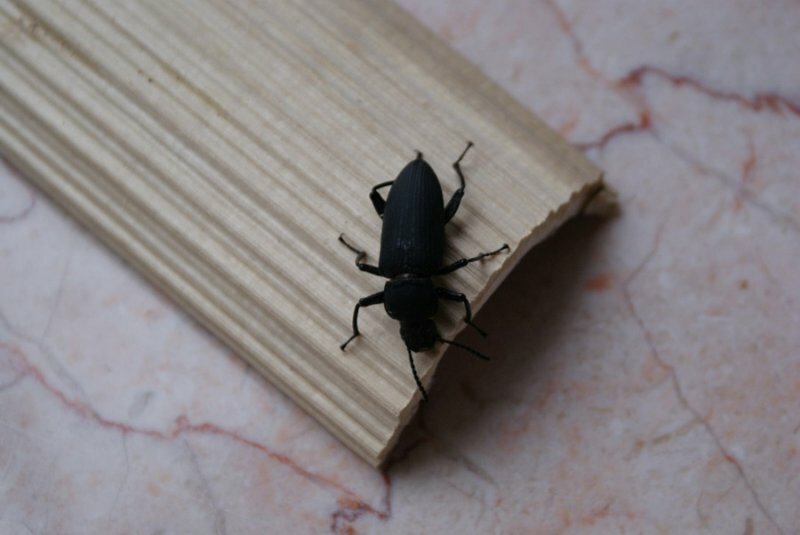 The larvae of these beetles are often specially grown to feed insect-eating pets. 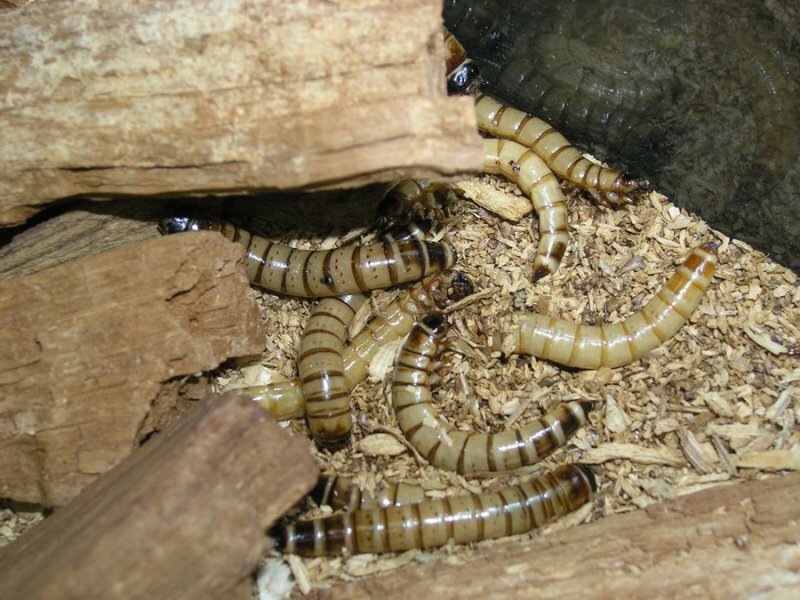 These larvae are harmless; they feed on various organic residues, although they are often used in horror movies. 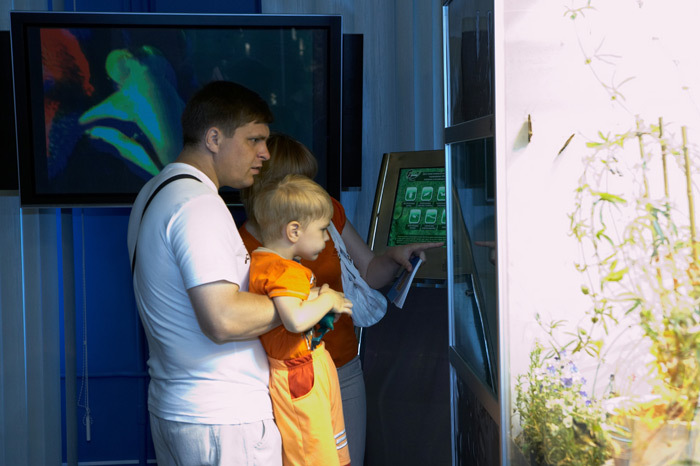 In June 2015 nymphs of the scorpion Heterometrus spinifer were born in our Nature Live Exposition. 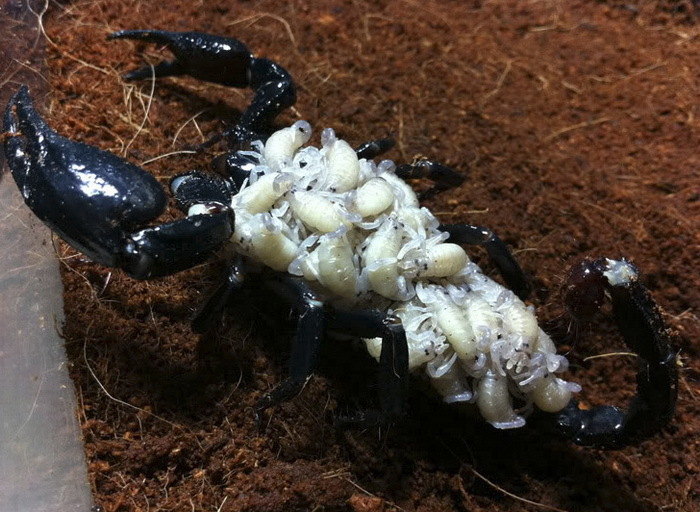 They crawled up onto their mother&apos;s back right after their birth. 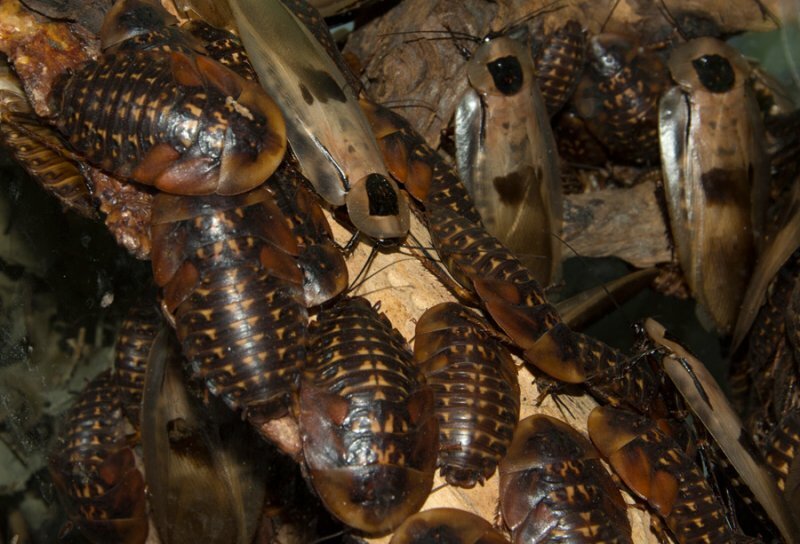 Here they spent 2 weeks waiting for their first moulting. 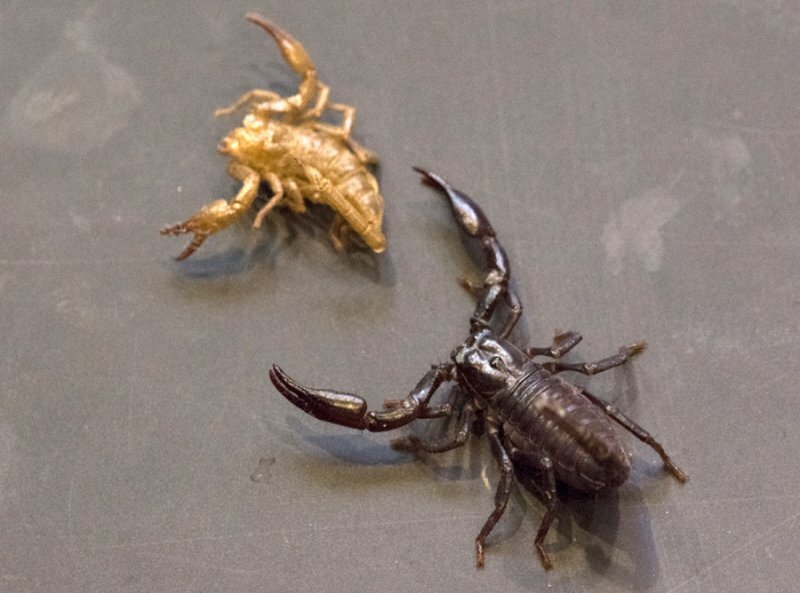 In the near future the main task of little scorpions is to eat well and grow, periodically changing their exoskeleton. 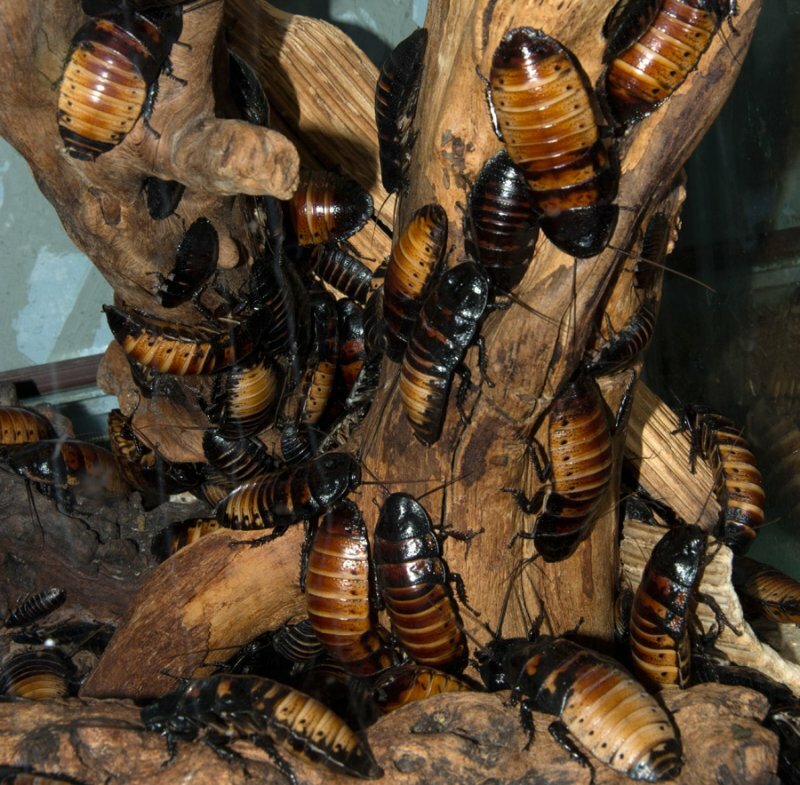 In 2-3 years they will finally grow up, reaching a length of 15 cm. 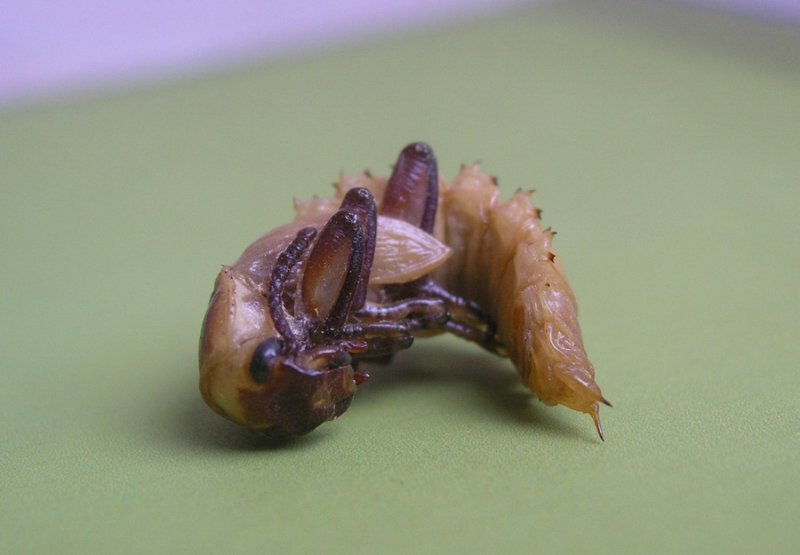 The photo shows one of the nymphs after its 3rd moulting (next to the discarded outer skeleton).